Fan reaction to Friday’s thriller! FAN REACTION on twitter to the incredible meeting on Friday evening between HEB Scunthorpe Scorpions and Leicester Lions at the Eddie Wright Raceway. Cheltenham Iron: We travelled up from Cheltenham to the EWR and it was an absolute privilege to see racing of that quality from both teams. Rarely have I seen better. Great performance from the Scorpions! Andy Burnitt: Though we had a contender for race of the season in heat 7 – Jake Allan and Ryan Douglas passing and repassing for fun. Then we had heat 13, just insane, four abreast down the back straight on lap 2 – one of the best adverts for the sport ever. And Ryan Kinsley – two wins on the bounce. Brill! Colin Bullock: Heat 13 SUPERB RACING. Four abreast coming into bend 3… my heart was in my mouth. God knows what them guys were thinking… great night! 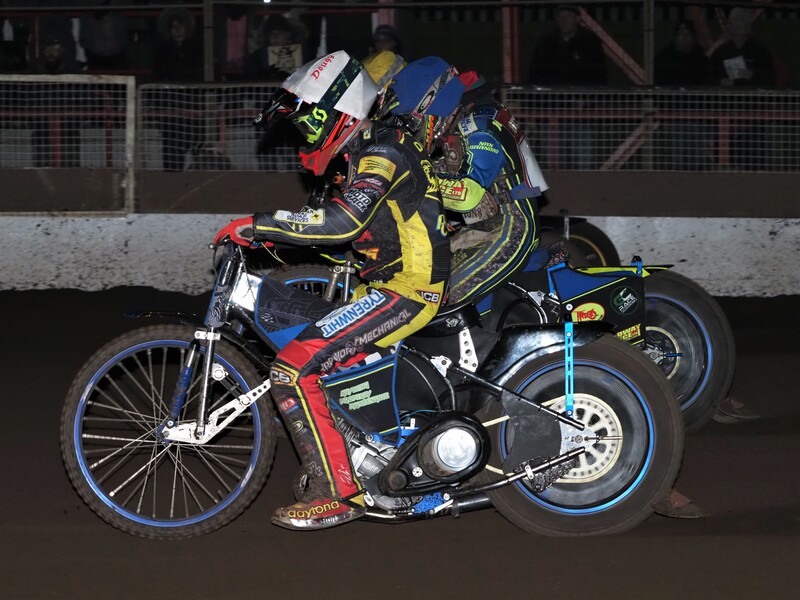 David Palmer: Fantastic nights speedway, racing just doesn’t get any better than that… great win boys! Luce: Cannot get over @SpeedwayScunny tonight; insanely good racing even by Scunthorpe standards! I also feel we performed a lot stronger than what the scoreline suggested; I’ll happily take that start to the season. Also, let’s talk about Ryan Kinsley? He looked on the pace from the start, but those two wins?! I’m not one for making predictions; but he feels very promising to say the least! Keith Chilton: Great racing on the best track in the championship. Stunning performance by Ryan Kinsley, won’t be long until he’s in the main body of the team, well done Ryan and the rest of the boys. Great start to the year.